Written by Kim on April 26, 2015. Last weekend, one of my best friends, Ali, and I made a whirlwind trip to New York City. Since I live only about 4.5 hours from the city, I have the luxury (?) of going down and back in the same day. 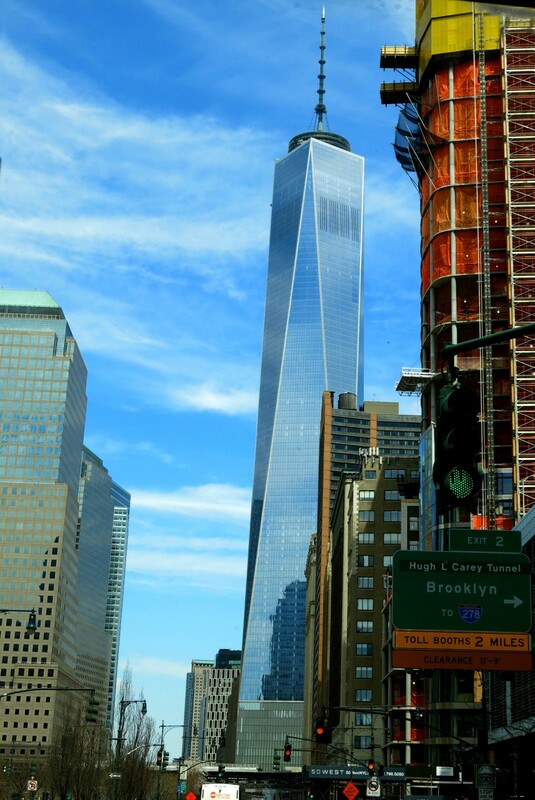 Ali had never played tourist in NYC before, so we tried to hit up as many of the must-sees as we could in under 12 hours. I’ve been to NYC a number of times in the past 15 years—including last Christmas—but have only recently found my bearings. 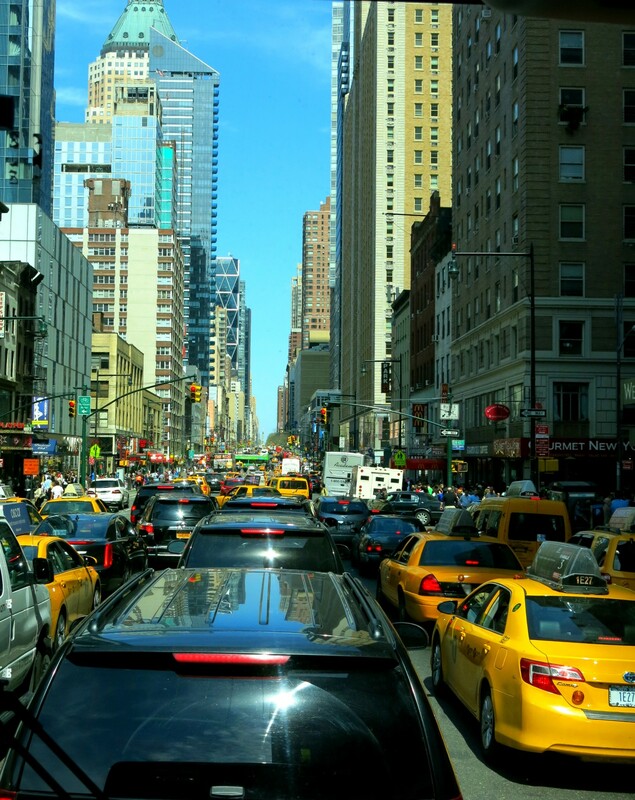 Since I tackle the Big Apple in very small bites, I’ve never gotten to see all of Manhattan in the same day. I’ve always wanted to take a bus tour to get the lay of the land. I knew the hop-on-hop-off bus was an option, but I wanted to dig a bit deeper. I had done a movie tour in San Francisco last fall and loved it, so when I found a similar one in NYC, I knew that was the way to go. 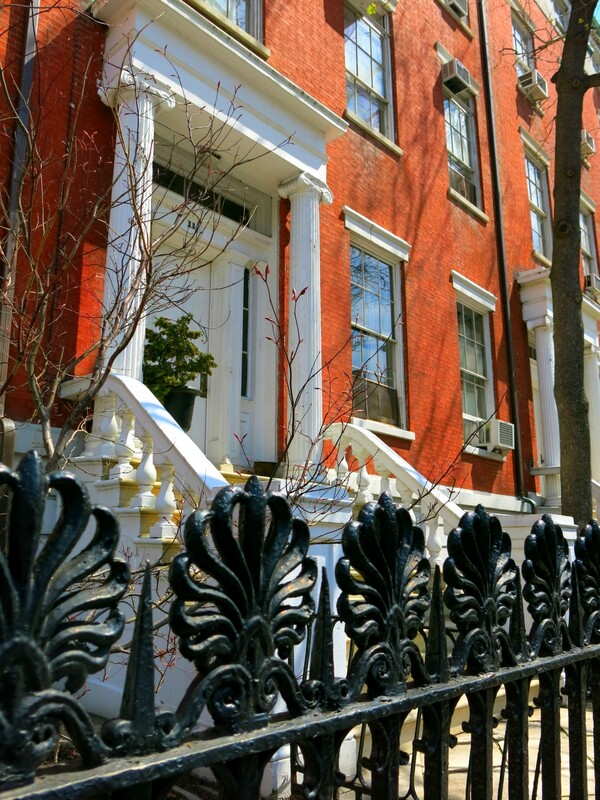 On Location Tours “straddles fiction and reality” as you tour the major sites featured in hit movies and TV shows. The tours are run by actors and actresses hoping to make it big. Some have played small parts in major movies and TV shows; some have taken on theatrical or comedic roles. Our guide, Courtney, holds Off-Broadway credits, and even won top female performer on Israel’s version of American Idol. On Location Tours generously upgraded us to priority seating at the front of the bus, which allowed us to get great pictures out the front window. It’s definitely nice, but if you don’t want to pay the extra $10 to sit there, you’ll still have a great time on the tour. 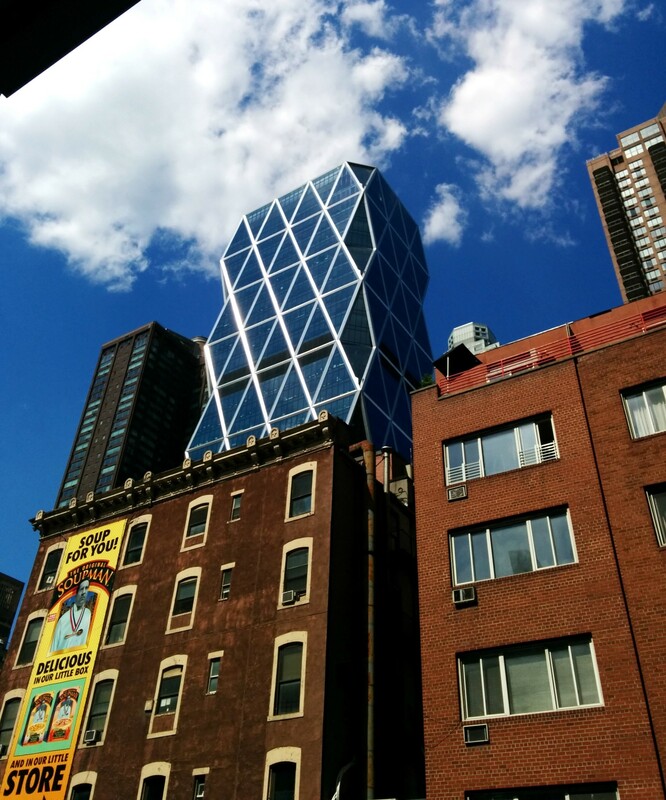 The tour starts just a few blocks north of Times Square, affording great views of the iconic heart of the city. Too many productions to count have used this spot, including Letters to Juliet, Captain America, Glee, Smash, and of course, New Year’s Eve. 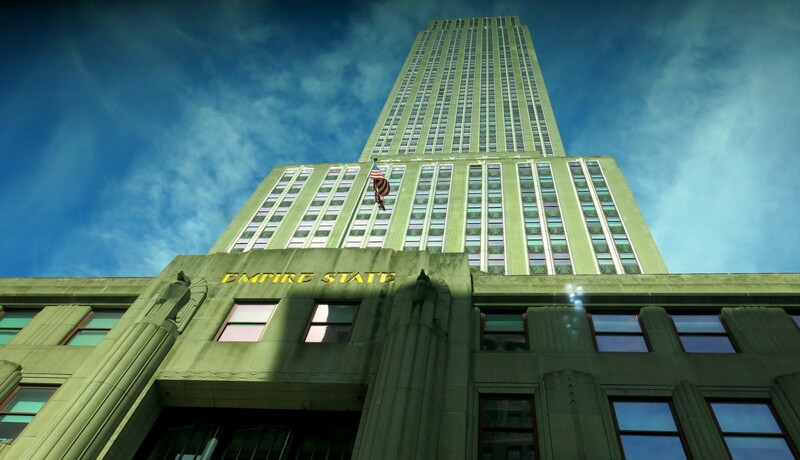 The Empire State Building has been immortalized (and romanticized!) by classics such as An Affair to Remember and Sleepless in Seattle. 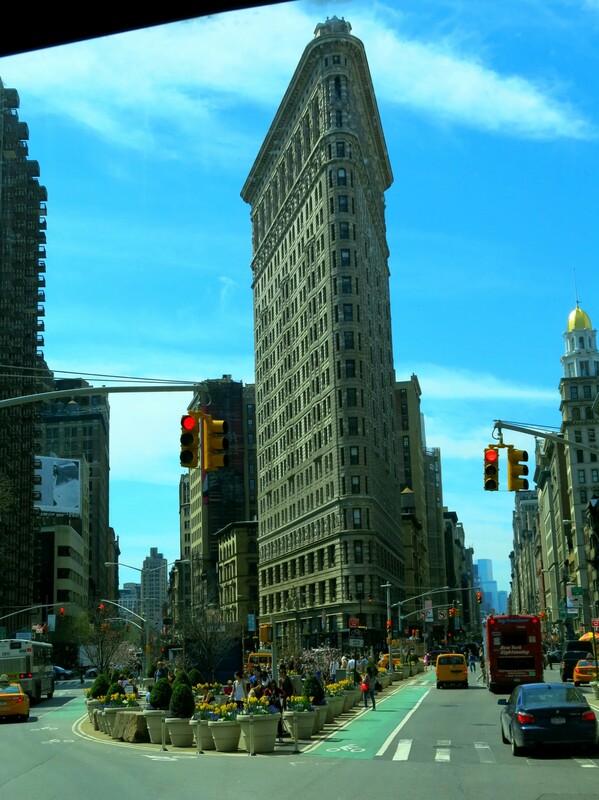 The beautiful Flatiron Building in Madison Square was used in Spider-Man and Godzilla. 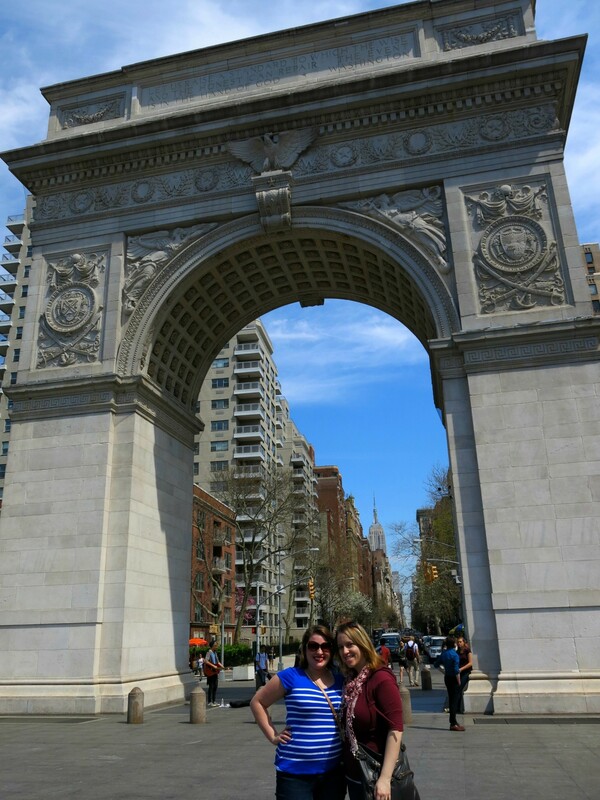 We got out at Washington Square Park on Fifth Ave. to see the replica of the Arc de Triomphe in France. This spot has been used in lots of productions, including Enchanted, When Harry Met Sally, Friends, Remember Me, and Big Daddy. Across the street is the gorgeous set of row houses used in Hitch. A couple of fun stops included Hook & Ladder 8 on North Moore Street, used in Ghost Busters, and this quaint little café in Greenwich Village that just so happens to be the apartment building from Friends. Some views along the way were iconic on their own—no lights or cameras required. This resolute building means so much to so many, and it was nice to have a quiet moment to take it in. The tour ends at McGee’s Irish Pub, the place that inspired MacLaren’s on the hit show How I Met Your Mother. Naturally we had to go in for lunch! And just across the street is the Original Soupman from Seinfeld. Even though I’ve never seen a single episode, I could appreciate the beautiful architecture surrounding the building. 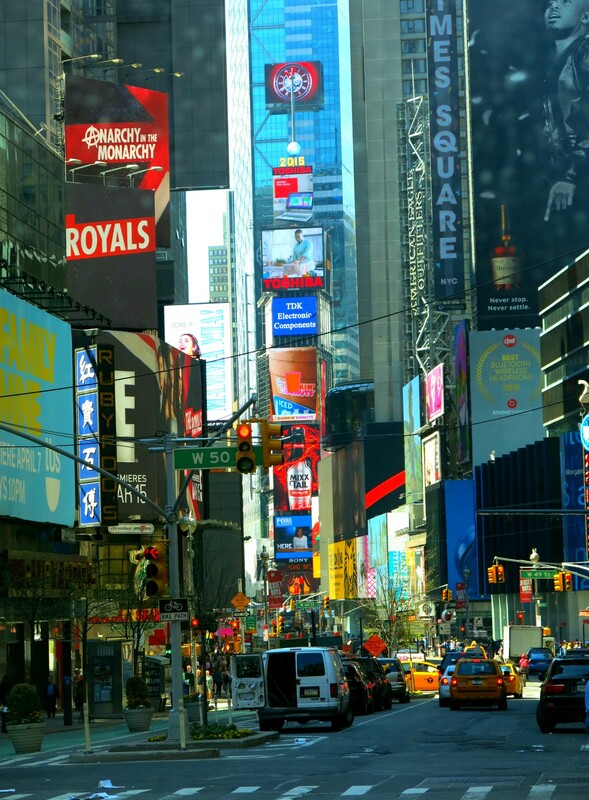 On Location Tours operates TV and movie tours in NYC and Boston, with many themed tours to choose from in both cities. I took the New York TV & Movie Sites Tour, which runs daily at 11 a.m. It takes approximately 3.5 hours and costs $41 per adult.